Love fresh lettuce, kale and other leafy greens, but they always go bad before you can use them up? 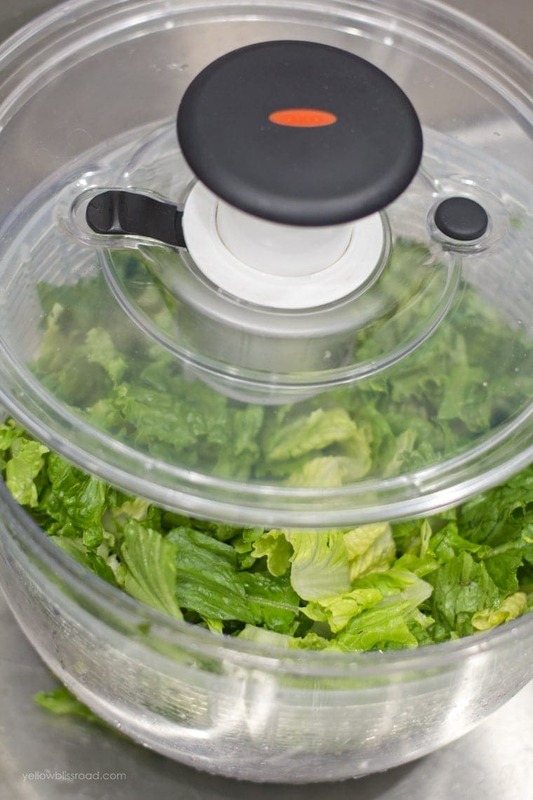 Extend their life by using these simple tricks for storing leafy greens. 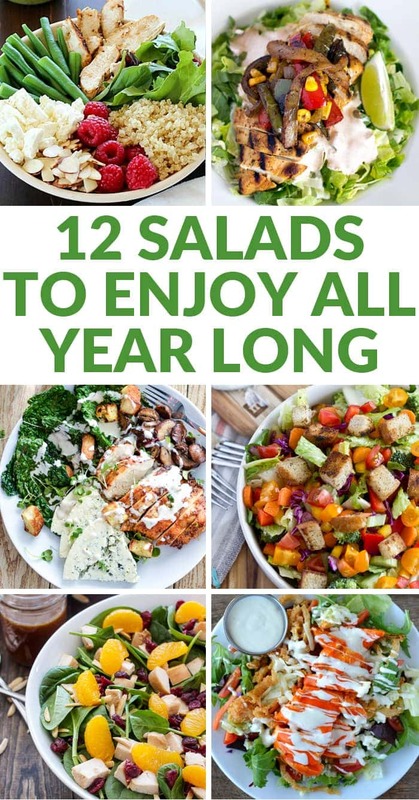 Be sure to stick around because at the end of this post I’ve got some seriously delicious ways to get your salads in all year long! We have quite the affinity for salads. My kids love them, and have been known to my Farmer’s Market Salad with diced baked chicken breast for dinner over chicken nuggets and mac and cheese. I really love salads, and it makes me happy that they love them too. 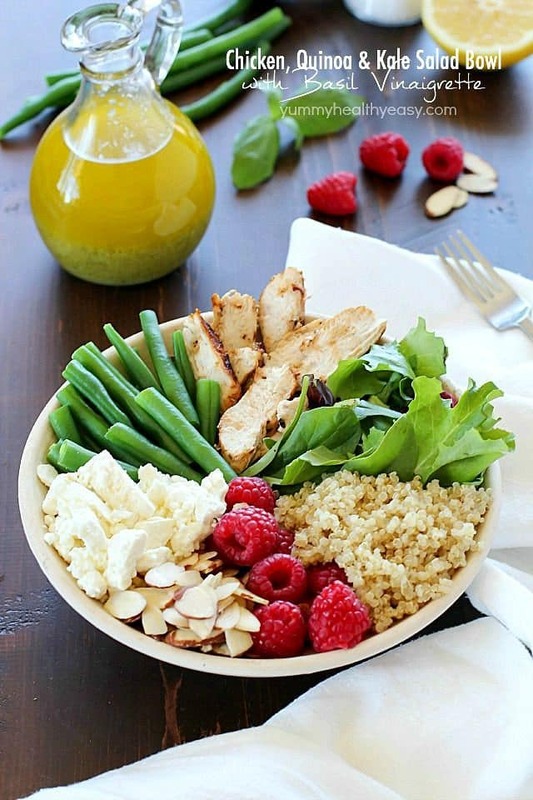 Salads are a great way to incorporate more vegetables and fiber into your diet, and they are a perfect meal for these hot summer days. In the past year, I’ve been buying more and more produce at our local farmer’s market. I love to mix it up when it comes to lettuce, so I usually end up buying two or three different kinds. But even with us eating salads nearly every day, a lot of my lettuce was going bad because I hadn’t quite mastered storing it properly. I finally have a great method down and I’m going to share it with you today! Keep in mind that it’s important to do this within one day of bringing it home. I highly recommend having a salad spinner on hand for this step, but you can manage without one (the process just takes quite a bit longer). 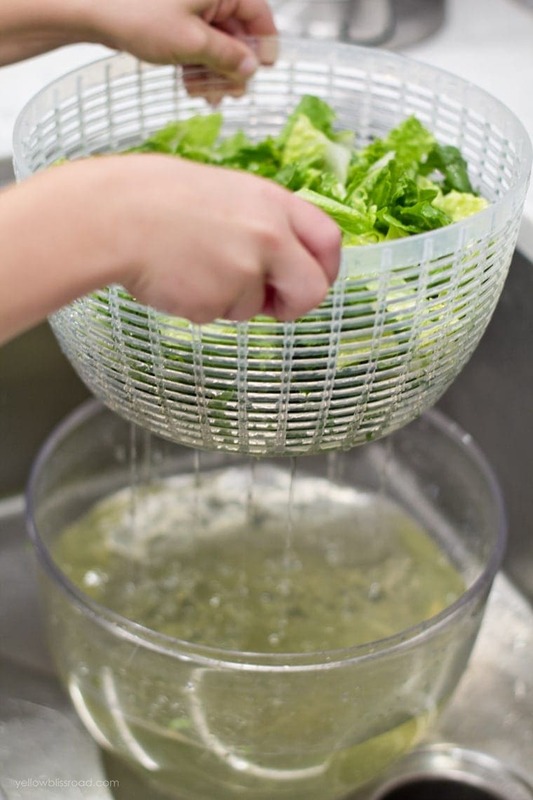 Gently peel your lettuce leaves and place them in the colander of the salad spinner. If they’re really big, you can tear or cut the leaves to fit. Next fill the bowl about halfway with water and swish the leaves around in the water to rinse the dirt away. Lift up the colander and empty the dirty water. Repeat this step a couple of times until the water is clean. 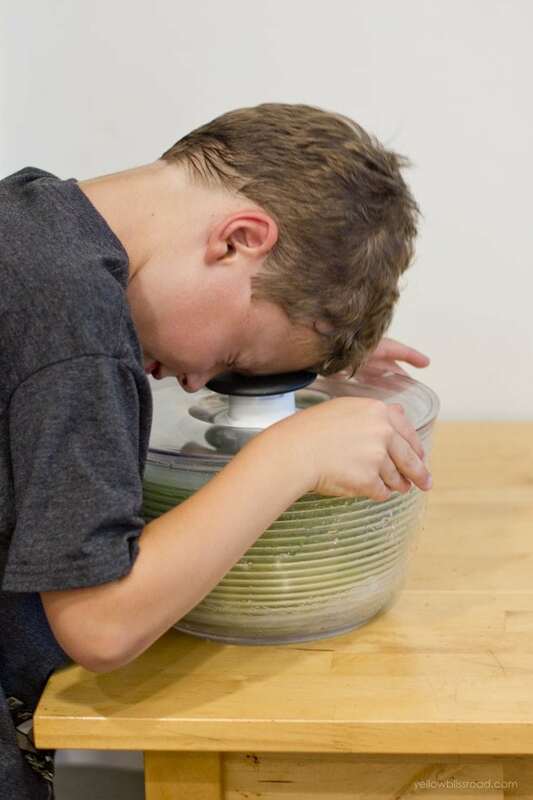 Now you can place the top on your salad spinner and dry it. This is a great way to get little ones to help in the kitchen – mine love to pump it up and down…and in the most unusual ways. Place a paper towel in the bottom of a sealable container or bag. 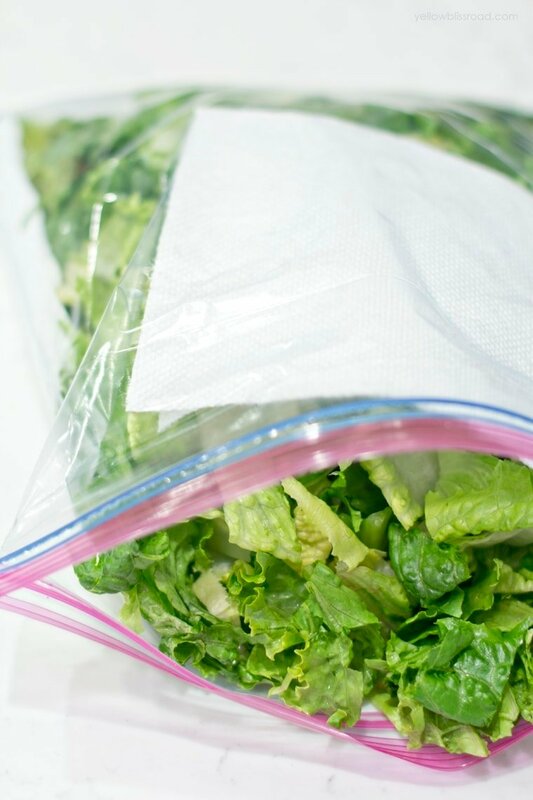 Place dried lettuce leaves in the bag on top of the paper towel. Place a second paper towel on top. 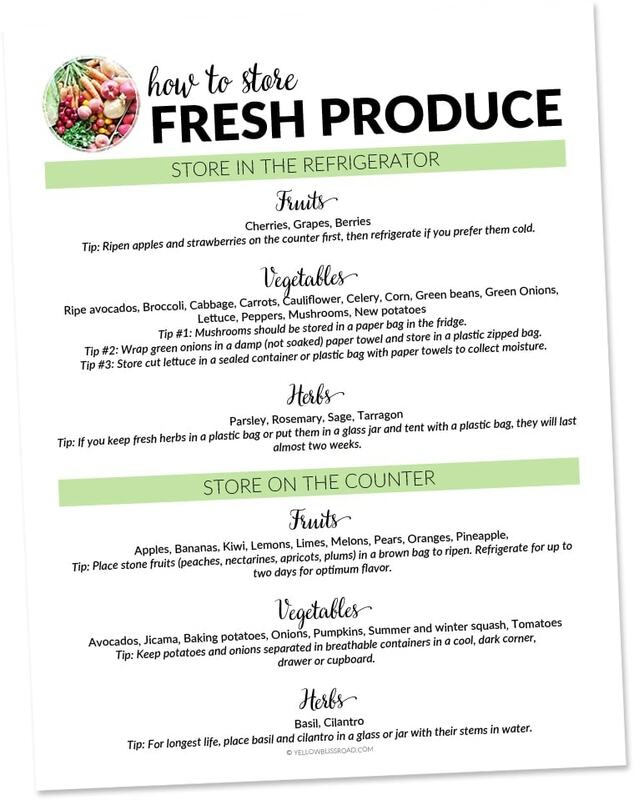 Seal completely and store in your produce drawer or near the middle of your fridge. So that’s it! Now you know how to properly store your lettuce and other leafy greens to keep them fresh for as long as possible. But what if my lettuce is wilted? Can I revive it? 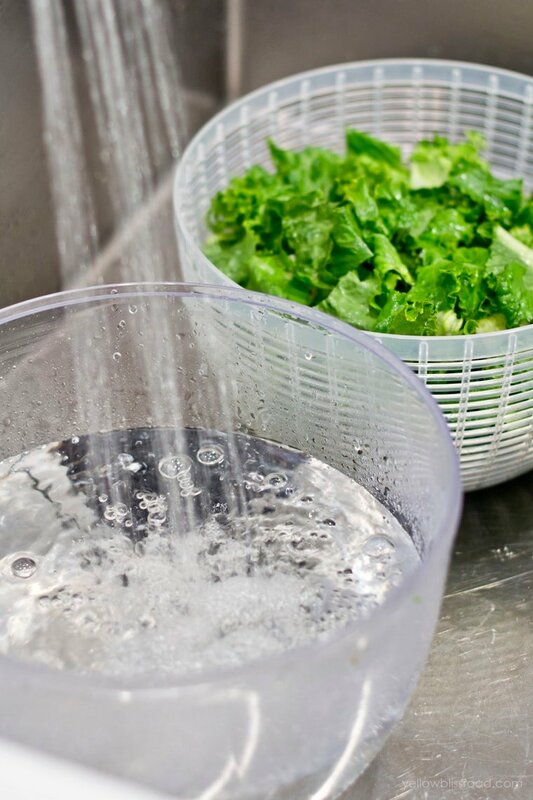 If your lettuce has begun to wilt, revive it by giving it a little ice bath. 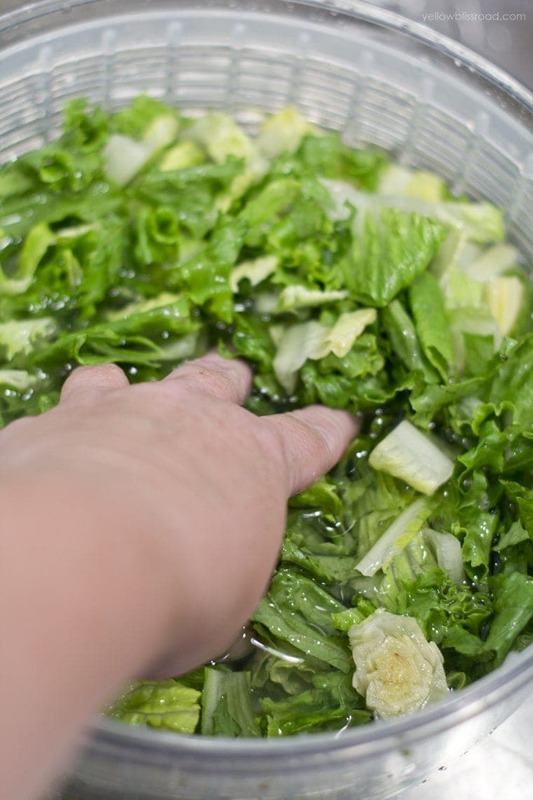 Place the lettuce leave in a bowl filled with water and ice for about 10-20 minutes. 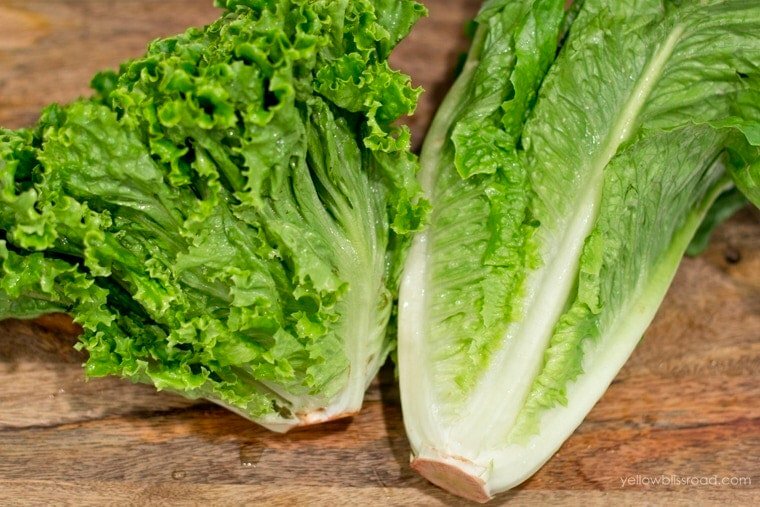 Keep in mind this is for lettuce that is only partially wilted, so if the leaves have already started to turn brown or a slimy, no amount of soaking will fix it! 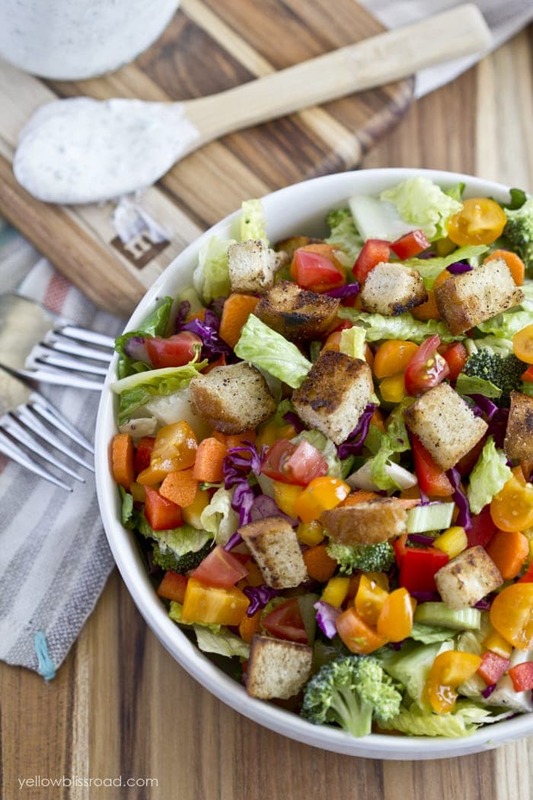 Be sure to try out these tips with these delicious salads and dressing recipes. The best part is they can be made all year long! This Farmer’s Market Salad with homemade Ranch Dressing takes advantage of whatever produce is in season. 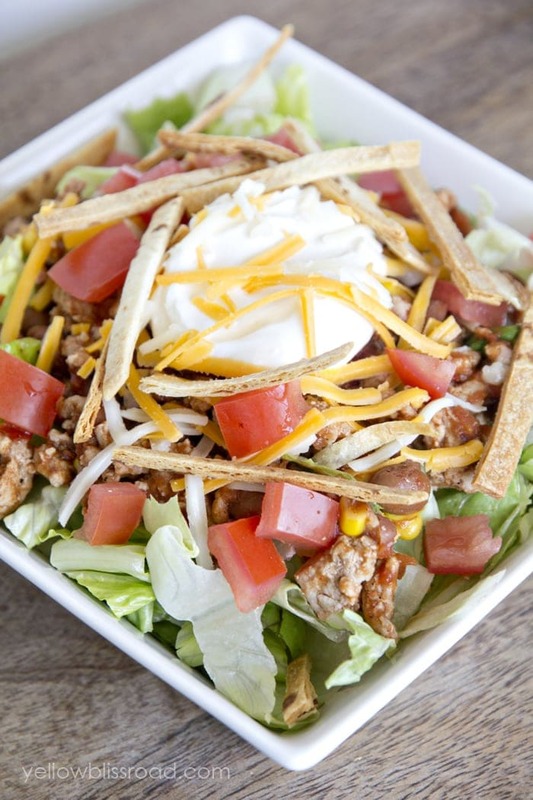 This Easy Taco Salad is always a hit – especially with hard to please kiddos! 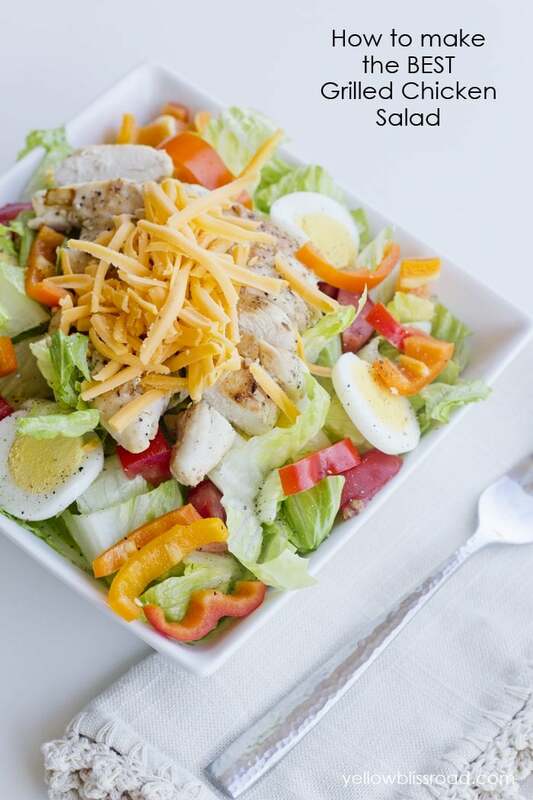 This deli style Grilled Chicken Salad is a great lunch or dinner all year round. Chicken can be grilled on the stovetop or outdoor grill. 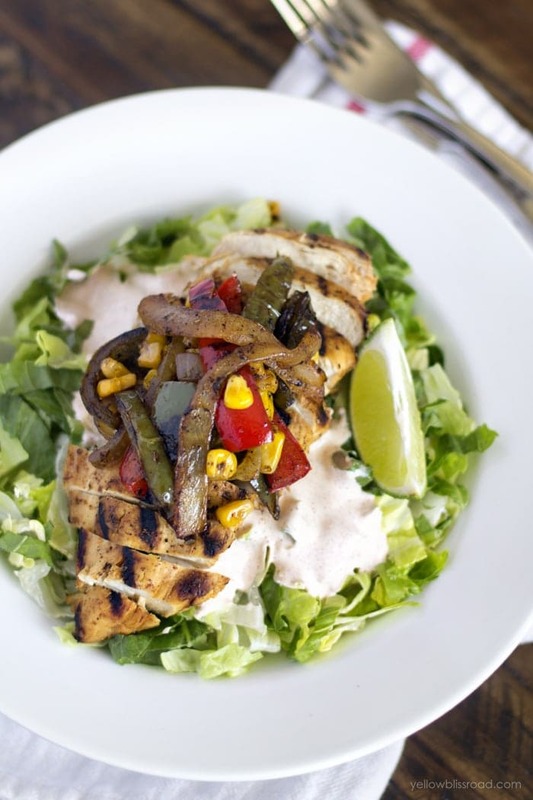 Enjoy the flavors of your favorite Mexican fajitas with the Chicken Fajita Salad. This Chicken Quinoa & Kale Salad looks gorgeous, and by swapping the apples or cranberries for the raspberries can easily be enjoyed year round. I love a good Asian style salad, and this Crispy Thai Cashew Chicken Salad sounds so delicious. I never thought about putting salmon in a salad until I came across this Thai Salmon Salad! Yum! This Charred Kale Salad with Honey Chipotle Chicken makes me want to bust right through my computer screen. 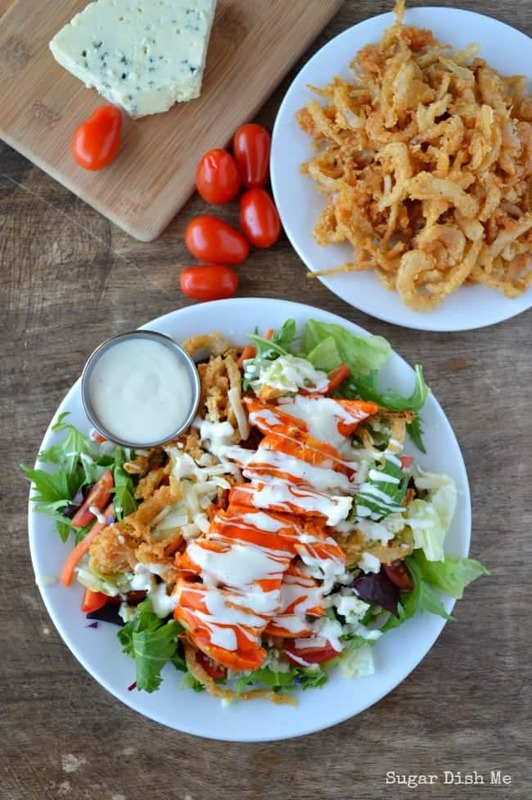 My second favorite salad is a buffalo style, like this Big Bad Buffalo Chicken Salad. Look at those crispy onion straws!!! I’ve always loved the idea of mason jar salads but have never tried them (gasp) but this Mason Jar Healthy Taco Salad is definitely something I want to make. 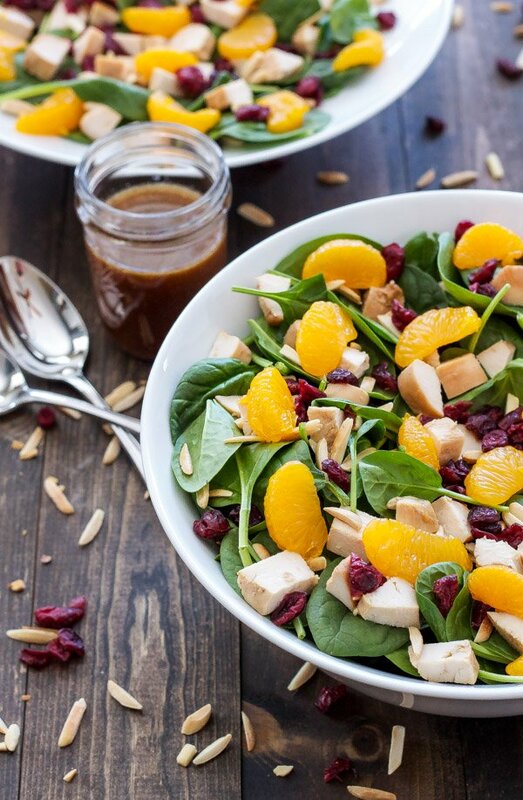 Yummy oranges and cranberries with a sweet Teriyaki dressing? Yes please! I’ll be trying this Teriyaki Spinach Salad for sure! 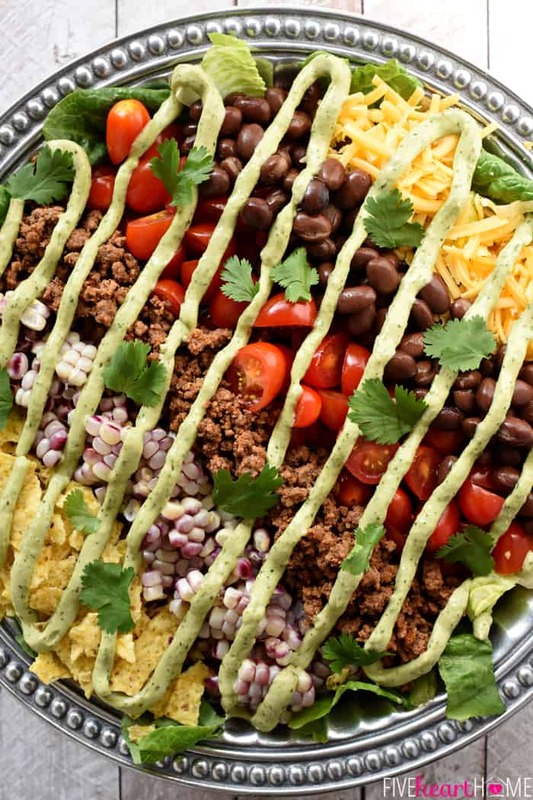 This gorgeous Taco Salad with Avocado Ranch Dressing is almost too pretty to eat. Almost. Thanks for how to keep lettuce fresher longer. I get so frustrated when it starts wilting so fast. Great salad recipes!! I’m a leafy/salad OCD person. My grocery list always includes spinach, kale, romaine, chard, and butter lettuce (at minimum). I am usually pretty good at consuming it all but sometimes it’s a mad dash to eat before it goes bad. I have never stored in bags with a paper towel – now I will! I was scrolling through all these salad options saying, “ooo yes that one looks the best”, then scroll down further, “no, that one. That one looks the best”, and by the time I got to the fourth photo I gave up and just decided they all look the best! Can’t wait to try.